Reece Realty is an independently owned and operated real estate agency. Being an independent agency allows us to give our clients across the whole of Newcastle & the Greater Hunter, Port Stephens and beyond, tailored and personalised service. We have dedicated staff in our property management and sales departments looking after your best interests. Our success is based on discipline, persistence, a genuine care for what we do and respect for the people we assist. Keeping up to date with current property trends, market fluctuations and industry regulations is a responsibility we take seriously. It is knowledge that allows us to offer a comprehensive and informed service to our clients whether you are buying, selling, investing or needing advice on professional property management. Our office is located in the heart of Jesmond shopping precinct with high exposure from Blue Gum Road (opposite Jesmond Fruit Barn) and Hirst Street (opposite Woolworths main entry) with plenty of free parking available. Only 1.5kms from the University of Newcastle Callaghan Campus we also specialise in management of Student Accommodation. 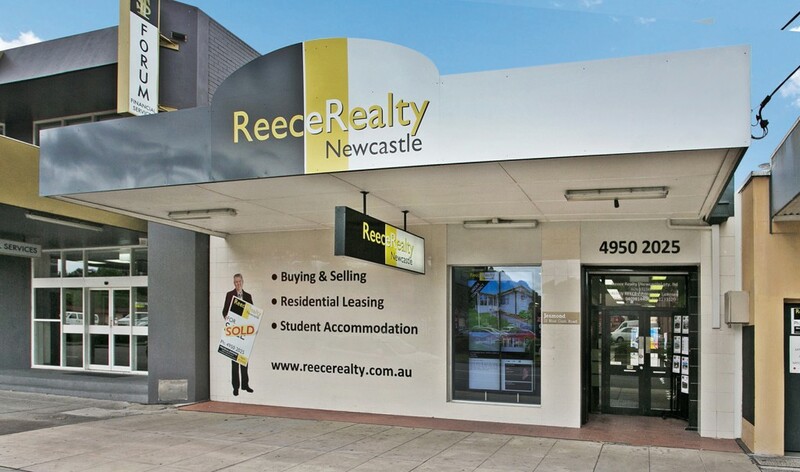 The experienced team here at Reece Realty Newcastle look forward to assisting you.